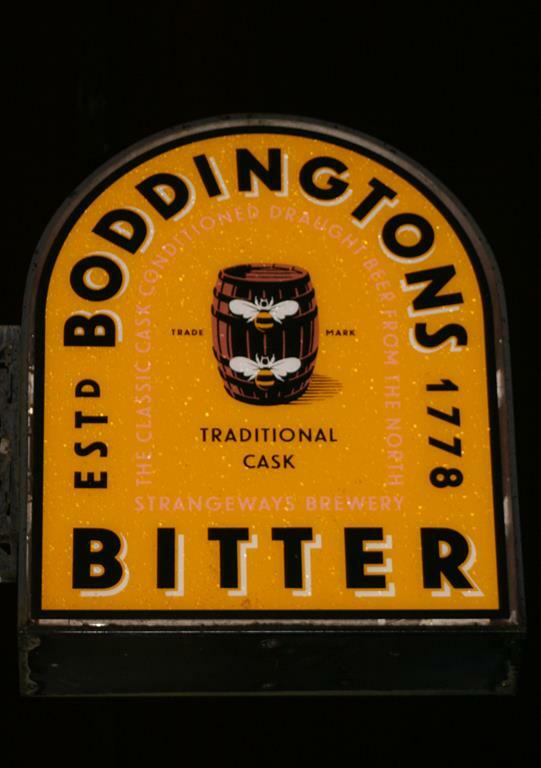 Brewed in Manchester since 1778 and still remembered for the “Cream of Manchester” advertising campaigns of the 1990’s, Boddingtons has long been linked to the city. 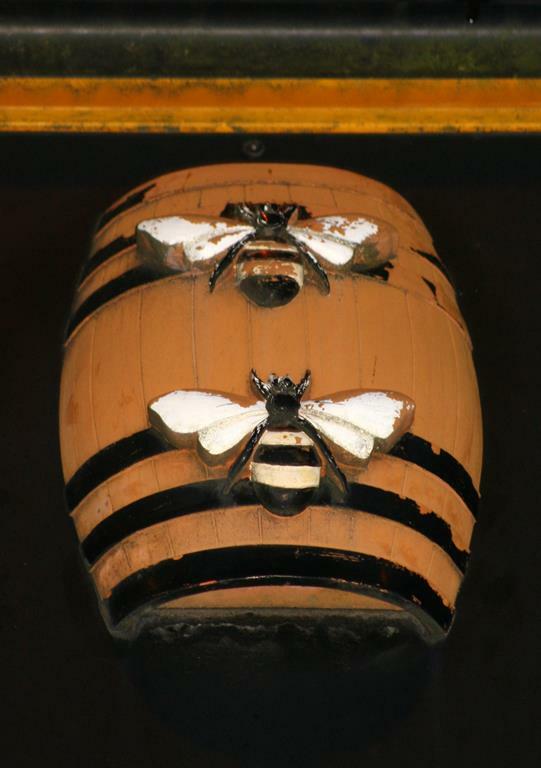 Strengthening than link, two bees were introduced to Boddingtons logo in 1900. Linking the brand to the city, but also acting a pun on the company name – Boddingtons Breweries. Unfortunately, Boddingtons ceased to be brewed in Manchester in 2004, and the brand has been a decline for many years. But you can still find the occasional signage still dotted around the city. The images above and below are to be found on the exterior of the closed down Black Friar pub, located to the north-west of the City Centre, just next to Trinity Way. Another example can be found outside The City pub on Oldham Street in the Northern Quarter, dangling at an angle. While exploring London Road Fire Station during a tour, I came across an old advert for Boddingtons on the wall of the Engine Room. As can be seen below, it featured a simplified design of the logo. Over in Hulme, a more permanent reminder can be found above the entrance to Bright Eyes Nursery on Royce Road. The building was formerly a pub named the Grant Arms, which was built in the late 1940’s. If you’re interested in seeing some examples of Boddingtons merchandise, please have a look at the collection of Chris Boddington which features all manner of things, from ash-trays to t-shirts.